It’s hard to find anyone who doesn’t like ketchup. It’s an essential component of any fried ensemble, hot dogs wouldn’t be the same without it, and a good dollop of the stuff will go a long way towards making a dull burger a whole lot tastier. There are people that literally don’t go anywhere without a bottle of ketchup, ready to whip it out when the next snack or meal presents itself. But there’s a reason why conventional ketchup is delicious, bordering on addictive: high fructose corn syrup. Along with a heady concoction of other noxious ingredients in your ketchup, that high fructose corn syrup is causing you serious harm. Here’s why. As recently as 30 years ago, our diets would have contained significantly less fructose than they do today. Why is that a cause for concern? Because fructose can be far more damaging to our health than regular old glucose. Whereas glucose is easily metabolized and utilized by our bodies, fructose needs first to be converted into fat or glycogen by the liver before we can begin to use it for fuel. This means two things: first, that you’re far more likely to gain weight in the form of fat from eating foods high in fructose, and two, that you have a far greater likelihood of developing fatty liver disease. And when we consider that the high fructose corn syrup in your ketchup contains more than 50 percent fructose, that’s a whole lot of fructose you’re pouring over your fries, hot dog and burgers. 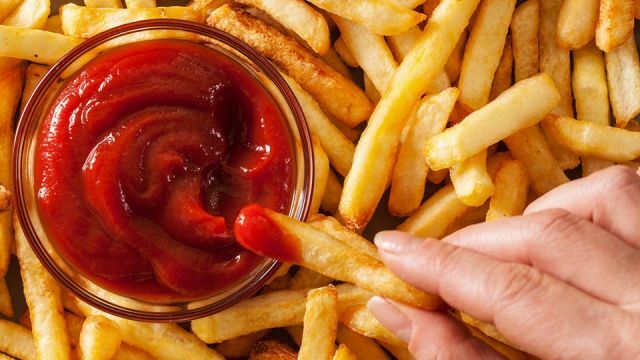 Ketchup contains high fructose corn syrup, often linked with health issues. We’ve already established that ketchup is loaded with high fructose corn syrup which, as the name suggests, is made up primarily of fructose. In healthy people, the body responds to the consumption of carbohydrates like sugar by increasing production of insulin, which transports the carbohydrate molecules out of the bloodstream and into our cells for energy. Over time, however, the high fructose corn syrup in ketchup overloads the liver and damages the regular glucose metabolism pathways responsible for insulin release. This builds insulin resistance, which is the key precursor to development of type 2 diabetes. The scientific community is very much aware of this phenomenon. 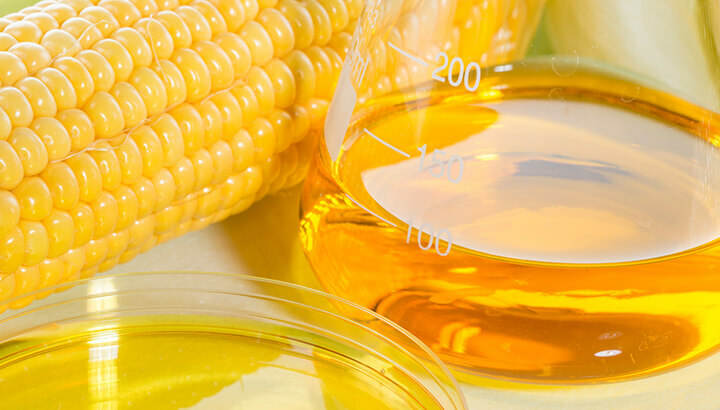 Studies have shown that countries with easier access to high fructose corn syrup-containing foods and beverages (like the U.S.) have a significantly higher prevalence of type 2 diabetes. If you haven’t already heard of it, metabolic syndrome is a big deal. It underlies a wide range of systemic health problems prevalent in the United States, including abdominal obesity, fatty liver disease, insulin resistance, hyperinsulinemia, dyslipidemia and hypertension… arguably the conditions most likely to lead to life-threatening diseases. And what causes metabolic syndrome? Well, for one thing, high fructose corn syrup! Which means that the more conventional ketchup you eat, the higher your risk of metabolic syndrome. I once saw an image that showed a full bottle of Heinz ketchup sitting next to a bottle that was half filled with sugar. The image says it all: your bottle of ketchup is close to 50 percent fructose and glucose, with the source of that sugar being none other than high fructose corn syrup. This means that for every spoonful of tomatoes that go into your ketchup, someone is also pouring in a spoonful of sugar. That is a lot of sugar! If you use ketchup a lot, you’d most likely find yourself in that “excessive consumption” group. While high fructose corn syrup might be the worst health offender in your ketchup, it is by no means the only one. Most of the popular bottles of ketchup (including Heinz) also include distilled vinegar and natural flavors. Now, at first glance, these might seem perfectly innocent. I mean, we’ve harped on about the health benefits of vinegar for years here at The Alternative Daily… how could that be a bad thing? And natural flavors are natural, so what’s the problem there? Unfortunately, the vinegar in your ketchup isn’t any old vinegar — it’s made from GMO sources like beet sugar, and has been stripped of all its nutritional value. And the natural flavors? If you check out this post I published a few weeks ago, you’ll discover that natural flavors really aren’t that natural… and sometimes they’re downright disgusting! Homemade ketchup with ACV is healthier than store-bought brands. 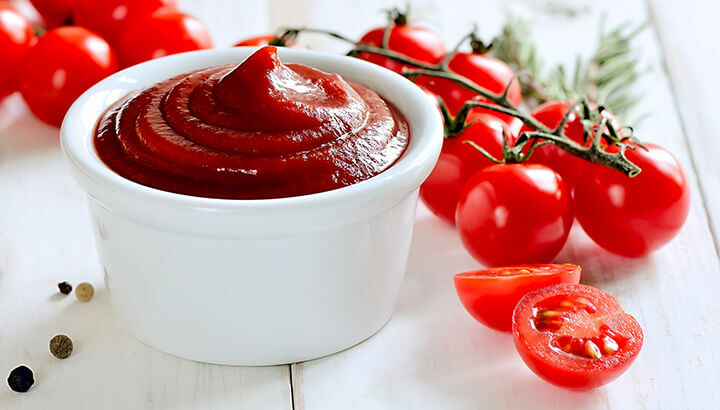 You could shop around for a “healthy” ketchup alternative to your usual go-to varieties, but chances are even the healthy versions are still loaded with sugar or those “natural flavors” we know nothing about. Or, you could sidestep the whole process and make your own! This way, you can guarantee your ketchup is as healthy as possible, and make it a whole lot tastier in the process. Throw all of the ingredients in a blender and pulse until you reach the desired thickness. Pour into airtight containers and store in the fridge. Hey Buddy!, I found this information for you: "This Common Ketchup Ingredient Is Causing You Harm". Here is the website link: https://www.thealternativedaily.com/common-ketchup-ingredient-causing-harm/. Thank you.